Greetings from Malawi to all our friends and family in Christ. The part few months have been challenging but we have thanks to the Lord as he had taught us to survive one day at a time and put our trust in him. Despite the many difficulties which we all have been facing we are all still smiling and praising the Lord. It has been a good start to the girls academic year with some good reports coming in from the school food the two young girls in our home, that kids Anna and Caroline getting particularly good reviews of the progress which they are making. 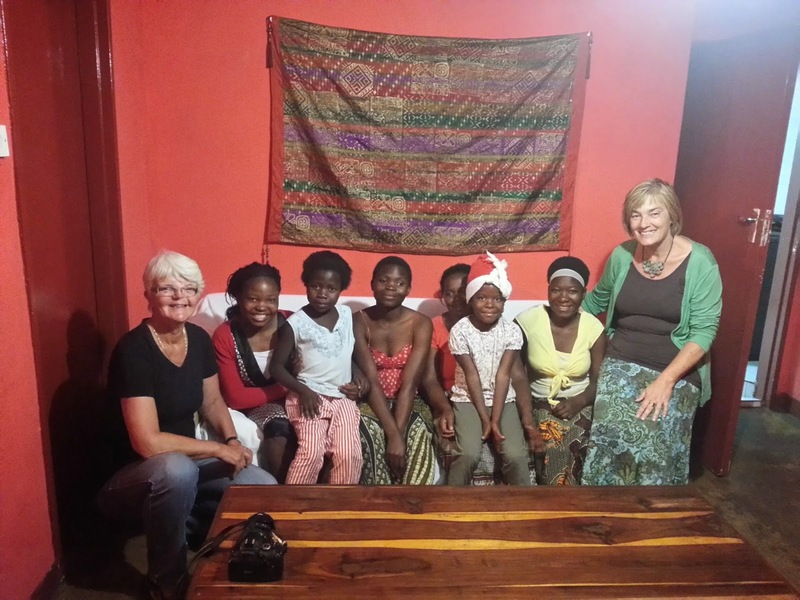 We have had some visitors come and stay in the home with the girls for a couple of weeks this has been good for the girls and the visitors, Karina Dingemanse and Jooske Crucq from Holland, who have all enjoyed each other's company and learnt from each other. Ethan and I, are well and we continue to pray for Sevana' s health as she continues with her struggle with physical pain and balance it out with work. We also pray that the financial situation improves so that we may carry on with the work which we are here to do. The funding has gotten so low that we are now in a situation where we had to resort to supporting the girls while they live in their own homes (as long as their safety is not put at risk). We will keep the home open for all emergency situations and as a safe place for all our girls in times of need. We are planning to improve on our family counseling for the girls to ensure on a smooth healing process in the homes. We are thankful and feel blessed by all those who have continued to support financially and through pray through these tough times, may the good Lord continue to bless you all.